Home About Universe Alien stars Astronomy Beginners Black holes Gallery Info Infographics Missions Scientists Spiral Galaxies Stars Black Holes: Are They Fountains of Creation? Right, so what does that actually mean? We often hear that from sages and saints, but who can make sense of it? What is that One? According to Haramein, it’s literally a singularity—a black hole. In the early days of quantum mechanics, physicists encountered what is now known as the “vacuum catastrophe.” Using the Voyager probes, they measured the energetic density of empty space. In what became the largest disparity between theory and experiment ever recorded, these measurements produced some baffling results. While it was believed that the energy contained in a vacuum would be very slight, near zero, the reality was quite the opposite: the vacuum density was measured to be 5.16 x 1093 gm/cm3 —a really, really big number. In fact, this number is 107 orders of magnitude larger than what was predicted by quantum theory. Because this discovery posed serious problems for the physicists, it was quietly shelved and the vacuum was subjected to a “renormalization process” that reduced the background energy to more manageable levels. Nassim Haramein decided to take the energy measured in the vacuum seriously. Using the vacuum catastrophe density of 5.16 x 1093 gm/cm3, he calculated the density of the space contained within a single proton. This turned out to be 4.98 x 1055 gm/cm3, meaning that a proton met the conditions for a black hole. Haramein then demonstrated that measuring a proton in this way eliminated the need for a strong nuclear force. In the standard model of quantum mechanics, gravity alone cannot account for the attraction of subatomic particles. For this reason, a new force of nature, the strong nuclear force, was proposed to account for this otherwise unexplainable attraction. In Haramein’s model, however, gravity alone is sufficient for explaining the attraction between protons; a strong nuclear force is unnecessary. Thus, while it may seem strange to think of a proton as a black hole, doing so results in simpler, more elegant quantum theory. Haramein then formulated a scaling law, according to which objects of the universe could be graphed according to mass and radius. Photons, atoms, stars, and quasars all obeyed the condition for a black hole, falling on a single line of the graph. Further, the graph correctly predicted the presence of black holes at the center of most galaxies, though that was not known to be the case when Haramein published his findings. All of this would be remarkable on its own, but consider the following: the mass of a black hole proton comes close to some of the higher estimates for the mass of the entire universe. Thus, according to Haramein’s calculations, every single proton in the universe contains the entire mass of the universe. This writer does not pretend to know. Nevertheless, it should be noted that the standard measurements of the size of the universe, even those that “renormalize” the energy of the vacuum, do suggest that the universe might be contained within a black hole (Than, 2010). If the entire world we know and experience might be contained within a black hole, is it too much a stretch of the imagination to suggest that it may actually be made of black holes on a subatomic level? The event horizon of a black hole is believed to contain all of the light and information of the universe. If Haramein’s theory is correct, all of that information could be found within the confines of a single subatomic particle—there would be, in Haramein’s words, “infinite complexity in any boundary condition.” Every galaxy, every star, every atom, and every proton would be an infinitely complex fractal representation of the one true singularity. All really would be One. Building on his theory, Haramein has gone on to explore the effects of torsion on space-time. He believes that his discoveries could lead to devices that harness the enormous energy of the vacuum to create gravity fields, leading to both free energy and antigravity machines. 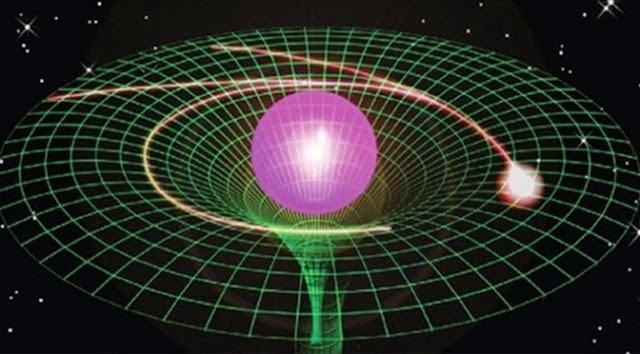 Using these machines, one could theoretically travel from one point in the universe to any other, regardless of distance, by forging an Einstein-Rosen bridge (a wormhole) between the two locations. Haramein has many detractors, some of whom claim to have “debunked” his theories. Generally, they say that his arguments are circular, that the peer-reviewers that accepted his paper aren’t reputable enough, or that he lacks the proper credentials. Personally, I have yet to encounter an effort at debunking him that was very convincing, as no one seemed to actually address Haramein’s arguments head on—they merely attack his person and make vague statements about his theory being bogus. That being said, the idea that the sun is a black hole does strain credulity, so I don’t think that their skepticism is entirely unwarranted. One day, maybe definitive proof for Haramein’s unified field theory will surface. Until then, both Haramein and the band Soundgarden will have to wait for their vindication.